a few dc rows and a bobble row for additional texture. The back is simply 2 dc and 1 ch. 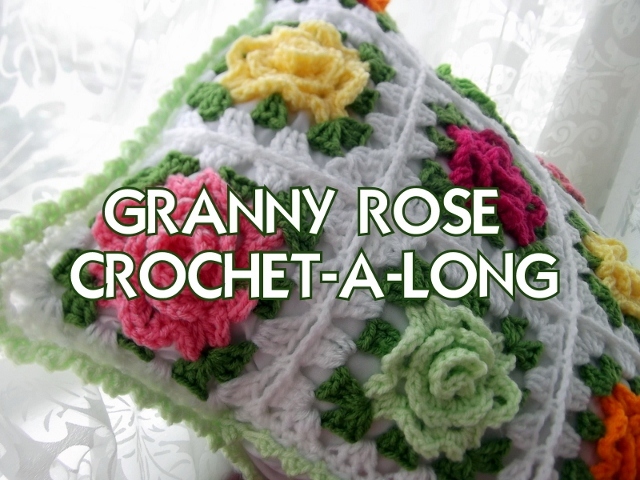 A picot edge, also from the Granny Rose CAL. Stay tuned this week for a couple of rosemaling camp posts that are in the works. Oh, that is really beautiful I love it, too. Such a pretty cosy! I love it. Det var eit søtt etui! Thank you and Tusen takk ogsa! Popcorn and fiber, haha too funny. It sounds like this might be a cosy or a sleeve? I must have been thinking cradle, sort of like where my phone sits to get charged??? Ohhhhhhhh, lovely thing for your "book" (??? I don't know the word ! )I imagine that 9 hours to drive is enough to do this little bag. But a very good occupation during this journey ! Mobile homes are crazy !!! Simply beautiful! One of a kind iPad cover that no one else has. Colors are just stunning. You are all so kind! Thank you for the interest!!! Wow that is just so very beautiful! I love the colours you've used - it's gorgeous!!! This is really fabulous! I had a go at your C.A.L last year, but still have not managed to join it together yet - possibly because I didn't think it was going to fit the pillow pad I had planned for it.So I need to do it all again. Think I might just have a go at this first though. Thank you for all the wonderful patterns and ideas you come up with. Saw this on pinterest and just loved it. Now I see you live in Utah! *waves* from around the BYU area. Have an awesome day! Hi Grace - so glad you found a fellow Utahn! SO glad you found me via Pinterest. Can you send me the instructions for the kindle/tablet cover? I don't see any on screen. Send it to gemmam1987@gmail.com and if you've any more can you send them too? 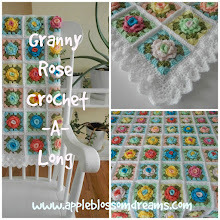 Also if you've any patterns for granny squares, crochet hook organiser case can you include them? Where do you get your patterns? Is there a pattern for this??? I LOVE IT!!!!!!!!!!!!! 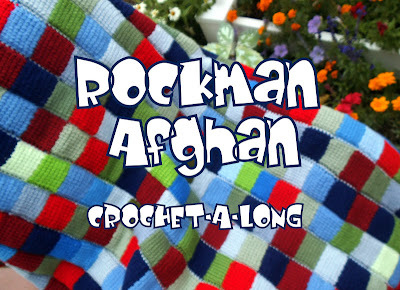 Granny Afghan a la "K"